With gas prices on the rise yet again, we look to hypermiling: a set of skills employed to reduce fuel consumption. Techniques range from simple to extreme, dangerous to downright illegal. Green Promise sheds some light on these practices, with safety and the environment in mind. For those who have never heard of hypermiling, it’s a method of driving which maximizes your fuel economy (FE) by making skillful changes to the way you drive. 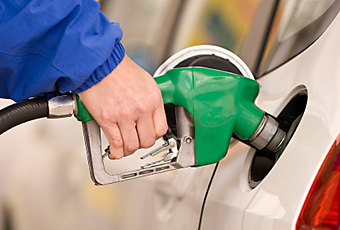 You will ultimately use less gas, which helps the environment and your pocketbook. Hypermilers employ many different techniques, which range from simple to extreme and sometimes even dangerous. Here are some of the more common practices, but remember — safety first! Driving without brakes (DWB). Your goal is to reduce brake induced deceleration, which is oftentimes caused by following too closely. Since fuel was used to create the initial motion, braking just wastes the momentum you gained by using the gas to accelerate, which ultimately decreases your fuel economy. Try to leave ample room between you and the car ahead, allowing you to reduce speed by coasting instead of braking. Sitting idle at red lights or when parked. You are using zero miles per gallon when stopped with the engine on. That is the worst fuel economy in the world! Try to minimize stops by taking your foot off the gas pedal as soon as you see a red or yellow light or brake lights in front of you. Fast acceleration burns more fuel. When ready to accelerate after a full stop, try to let the car move forward on it’s own for a second, then slowly accelerate. Fast acceleration can reduce fuel economy by 33% on the highway and 5% in the city. Drive the speed limit or 5 mph below. Besides following the law, there is another reason to follow the speed limit. Higher speeds increase aerodynamic drag and mechanical friction, which will reduce fuel economy. Avoid gas wasters. Running the A/C or driving with the windows down are two examples. Operating the A/C at maximum can reduce your fuel economy up to 25% depending on the car. Maintenance. Stick to a strict maintenance schedule. Make sure tires are properly inflated and aligned. This is a critical point in optimizing your fuel economy. Higher pressure in your tires reduces rolling resistance. Some suggest that you may do better by filling your tires to the MAX sidewall rating versus the pressure listed in the owner’s manual or on the side door. Proceed at your own risk. Dirty air filters and brake-drag can also reduce fuel economy. Driving with load (DWL). Reducing weight load by removing unnecessary objects from your trunk or roof. If you aren’t using it during that trip, take it out. Think golf clubs, workout gear, bowling balls, books, your waistline, etc. Vehicles are assumed to carry an average of 300 pounds of passengers and cargo in EPA test cycles. Driving in four wheel drive. Try to avoid FWD when possible since four-wheel drive makes the engine work harder and increases crankcase losses. Cold weather driving and short trips. Since engines don’t operate efficiently until they are warmed up, cold weather and short trips can be a drag on your fuel economy. Letting your car warm up isn’t the answer either since sitting idle uses more fuel and creates more polluting exhaust. Try to time your errands for one trip and drive to the furthest destination first, allowing your car to fully warm up. Then hit the other spots on the way home. Potential parking (PP) and face out. Potential parking involves parking your car in the highest point of the parking lot or street so that you can roll away from the parking spot, using gravity to your advantage. To reduce the time the engine runs, face out in parking spots at the mall. This will avoid stops and reverses, which take more time and gas. Use (or add) a fuel consumption display (FCD) or instant fuel consumption display (IFCD). Also affectionately known as the “game gauge” by seasoned hypermilers, this display will give you constant feedback on your average fuel consumption. An IFCD will give you instant feedback, not just averages like the FCD, so you can change your driving habits on the fly. This alone could save you 10-15% of your fuel consumption. If your car doesn’t have this display, you can actually install one yourself, such as the ScanGauge II , for less than $200. Well worth it in the long run. Group support. Another useful tip is to join an online discussion group centered around hypermiling. If you are new to hypermiling, you can get some timely advice from seasoned pros. When you become a hypermiling guru, compare notes with other advanced hypermilers. The honor of holding the current Guinness World Record for Lowest Fuel Consumption Across 48 States goes to John and Helen Taylor and the 2009 VW Jetta TDI, averaging 58.82 miles to the gallon. Pretty good considering the EPA rating for the 2009 Jetta TDI is 30/41. Admittedly, we are a little biased towards the new clean-diesel VW Jetta TDI since we did recently purchase one out of necessity. After much research we found it to be one of the best fuel efficient cars out there right now. The Taylor’s used a few simple techniques to optimize their fuel economy, but nothing too extreme. They simply avoided idling and higher speeds, minimized vehicle drag and performed regular vehicle maintenance. If you are on the market for a new car right now, then give the VW Jetta a test drive. The $1300 tax credit helps soften the blow of the price tag (which is still comparable to the Prius by the way). That leaves us with the ultimate in fuel economy savings. The absolute best way we know of to save gas is of course to not use your car at all. Try walking, biking or public transportation when possible and save the car as a last resort. Sorry, we had to say it. 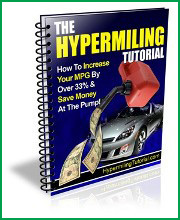 For more detailed information on hypermiling, try The Hypermiling Tutorial by Howard Sterling.